Bubbling Under: Meet Bundesliga’s Hottest Starlets? In a long list of goalkeepers vying to deputise in goal for the German team is Horn. With Marc-Andre Ter Stegen, Loris Karius, Bernd Leno and Kevin Trapp, he makes as good a case as anyone else. Of course it only is realistic in the case something happens to Manuel Neuer. He had a good 2015/16 season and helped Koln finish 9th with 8 clean sheets. Could he make the move to a top European club soon, like Loris Karius? The 20 year old central defender has been a mainstay at the heart of Hoffenheim’s defence. He’s often seen lining up alongside long-time Arsenal target Fabian Schar. 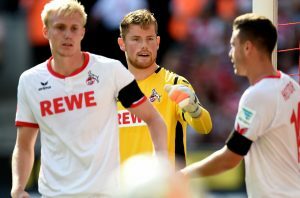 Even though young Julian Nagelsmann’s side finished a disappointing 15th last season, Sule did his reputation no harm. 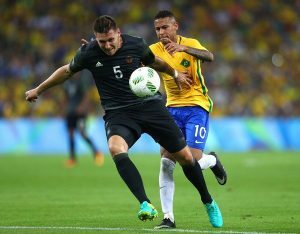 He starred also as Germany won Silver at the Rio Olympics. He should be in the national team very soon. Chelsea youngster Christensen was linked with a move back to the club which failed to materialize. 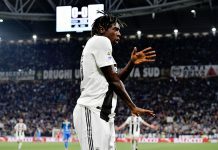 The Chelsea loanee is already attracting interest from European giants like Barcelona and Bayern Munich, and Monchengladbach were willing to break their record transfer fee to sign him permanently for Chelsea. He made 31 league appearances last season and helped the club finish fourth on the log. 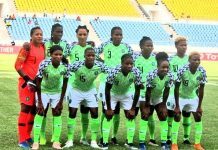 He helped his team gain promotion to the Bundesliga by coming second in the second division and also helped Germany come second at the Rio Olympics. A very important part of the young Leipzig side, he will need to be at his best to enable the club stay in the topflight at the end of the season. “He will be the one of the best German footballers of the next decade”. Still only a youngster, Kimmich played well at the Euros and will see more minutes this year. That was Josep Guardiola describing the young Kimmich. 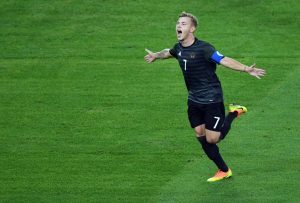 He showed glimpses of what he can do playing at right back for Germany at the European championships. We hope to see more of him in Carlo Ancelotti’s Bayern team this season. Germany’s captain at the Olympic Games in Rio, Mayer’s qualities are obvious. He has been in the first team since 2013 and has made over 95 appearances, scoring 16 goals. 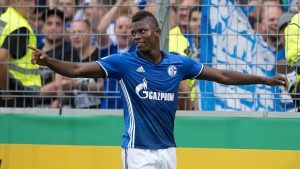 Courted by all the big clubs in Europe before finally moving to the Bundesliga, he’s a big talent. 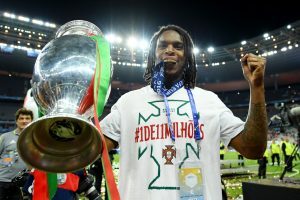 The former Benfica player was coveted by major European clubs before he made the move to Munich just before the European championship. Had a very good tournament with European champions Portugal, and was also named as the tournament’s best young player. The diminutive winger was one of the very few bright spots in Turkey’s disastrous Euro 2016 campaign. 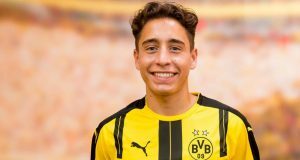 He is one of the young player s that have been added to the Dortmund team, and hopefully they can push Bayern Munich all the way in this season’s Bundesliga race. Only a youngster, Coman has won so much that it’ll make even veterans green with envy. 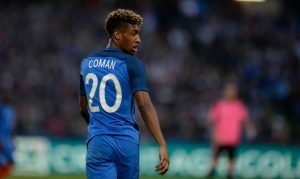 Coman made 23 league appearances last season and made sure injuries to Frank Ribery and Arjen Robben were not felt deeply. Also helped France reach the finals of the European championship. Hopefully he can push on this season and add more goals to his game. The 19 year old Swiss international was linked to a host of clubs around Europe before he finally made the move to join up with Markus Weinzierl’s Schakle team. He has been tipped for great things due to his performances for his former club FC Basel. If he knuckles down and works well, he could be playing for a major European club in no time.